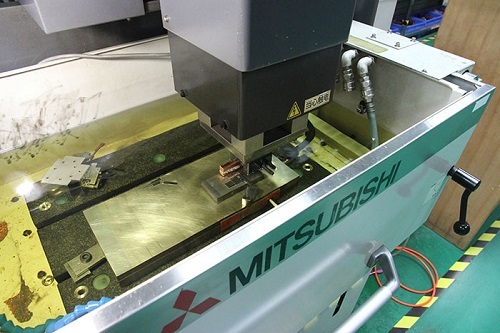 As we all know, EDM is generally used to process various conductive materials with high hardness, high strength, high toughness and high brittleness, and is often used in the manufacturing process of dies. So what are the conditions for realizing EDM? Let's take a look at it today. 1.Pulse voltage of 60V~300V must be applied between tool electrode and workpiece electrode, and reasonable working distance-discharge gap must be maintained. 2.The liquid medium with certain insulation performance must be filled between the two poles. Kerosene is generally used as working fluid in realizing EDM. 3.The impulse energy transmitted between the two poles should be large enough. 4.The discharge must be a short pulse discharge. 5.Pulse discharges need to be carried out many times, and multiple pulse discharges are dispersed in time and space to avoid local burns. 6.After pulse discharge, the corrosion products should be discharged out of the discharge gap in time, so that the repetitive EDM machining can proceed smoothly.